Chain Included: yes, bead chain. 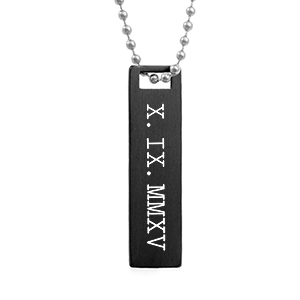 This black dog tag pendant can be engraved on it's front or back. 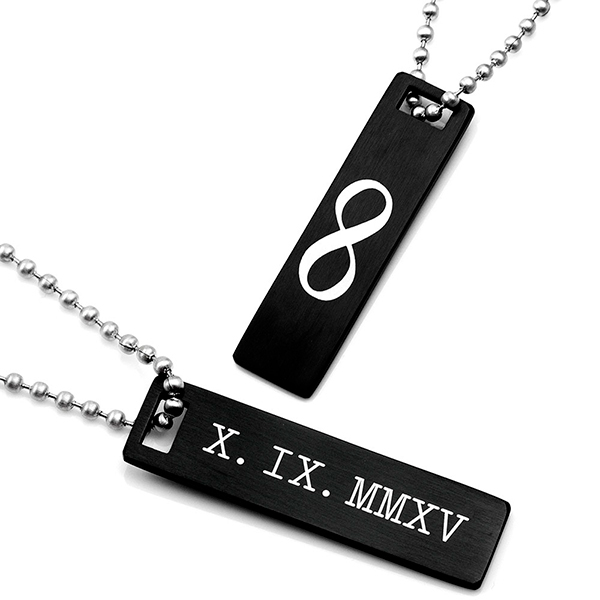 Laser engraving removes the black plating to create a high-contrast, white colored inscription. Please choose less characters if you are combining a symbol with text on the same side. Symbols force text to be smaller in the same area. Features a brushed finish. Bead chain included.